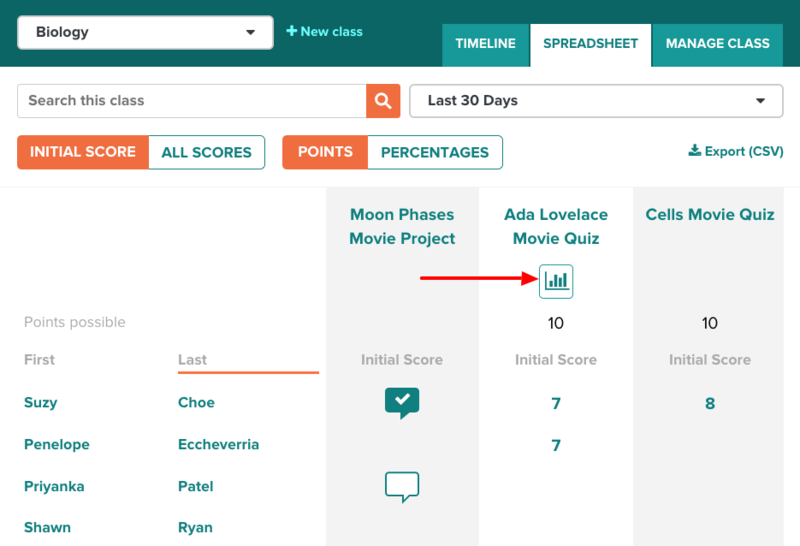 With a My BrainPOP educator account, you can use the Class Summary view to see student results on submitted work and graded assignments for Quizzes, Challenges, and other features. Class Summary provides a high-level view of topic mastery that you can use for formative assessment. Select the class you would like to view. Click Spreadsheet, then choose the Class Summary icon for the assignment you would like to view. Click Timeline, then choose the Class Summary icon for the activity or assignment you would like to view. Class Summary view is available for activities that generate a numerical grade upon completion including Quiz, Challenge, Sortify, and Time Zone X. Initial Score displays the first score students receive for an activity. Last Score shows the most recent score if they did the activity multiple times. 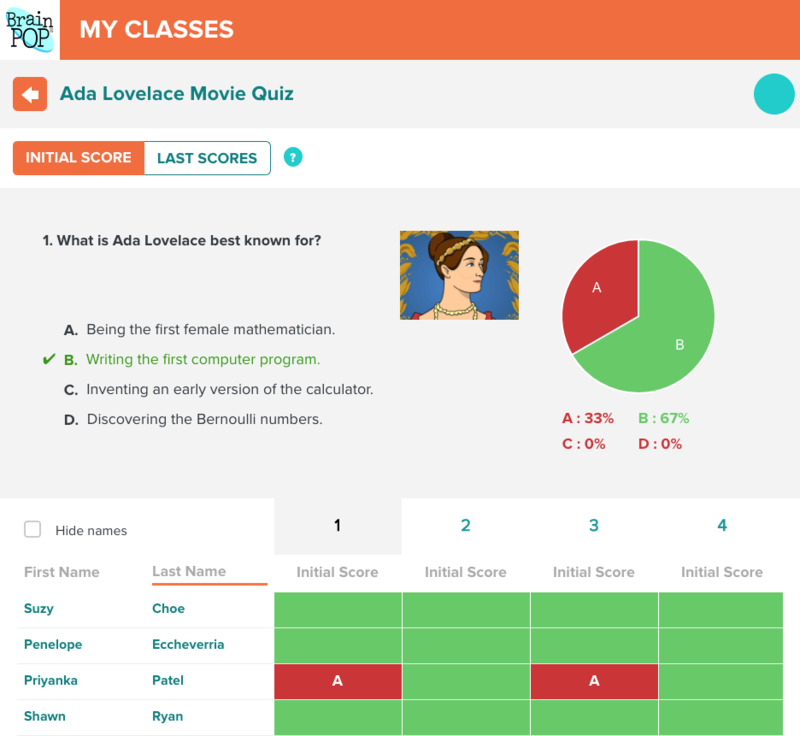 Last Score will not display the initial score if students did the activity just once. You may toggle between these views at any time by selecting either Initial Score or Last Scores on the left side of the page. Click a numbered column heading to automatically group student data by performance.